10 Best Beauty Buys in the Anniversary Sale! I spent a lot of time in the beauty department the other day really studying the Nordstrom Anniversary Sale beauty deals for y’all and I narrowed it down to ten items I think are the best bang for your buck on brands you LOVE or have been wanting to try. Above images are clickable but keep reading for why I chose these ten. Remember, only Nordstrom cardholders can shop now but the sale opens to the public on Friday. My advice is to know what you want to buy before Friday because things will sell quickly (if they haven’t sold out by then!). I think anything Charlotte Tillbury is a great buy in the Nordstrom sale. I love her makeup (celebrities love it, too!). This set includes two blushes, bronzer, a airbrush powder, and two highlighters for that perfect glow. I already ordered this and will share on Instastories. I love my Drybar hair dryer but if it ever goes out I am getting a T3. At the blogger preview I attended they told us this hairdryer helps with the Texas humidity. Yes, please! Oh and it also comes in white! 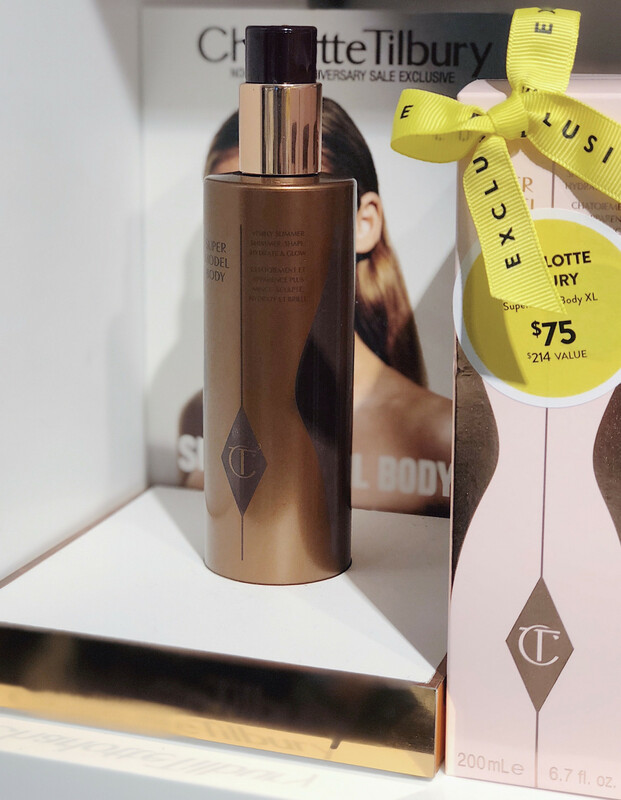 Another tip I learned at that event: put this body shimmer on your collarbone, the front of your legs, and the center of your arms for a glowing, slimming look. People were raving about this product and said any skin tone can wear it – even pale people like me! (And bloggers said it looked great in photos!) Such a great gift, too at $75 (but a $214 value!). Microneedling is a big thing in the home skincare industry. I was skeptical but y’all I REALLY like my Glo Pro and honestly need to use it more. It’s so easy to use – only takes a few minutes. Side note: I still use my PMD (also in the sale). It gets off the top layer of dead skin with microdermabrasion. The Glo Pro serves a different purpose – it goes deeper into the skin. Save $23 on this value pack of signature Drybar products. It includes a full size and travel size of both the Dry Shampoo and Texturizing Spray. This best-selling body lotion is great to keep on the bathroom counter (and Kiehl’s shampoo in the shower). Such a good value especially if you use anyway. If you’ve ever wanted to try a lash enhancing serum now is the time because you can get this blogger favorite lash serum for $100 off! This is a competitor of Rodan and Field’s Lash Boost so I am tempted to try it! Another highly rated lash serum in the sale that’s 2 for 1 is this Revitalash. Read the reviews on this one, too. 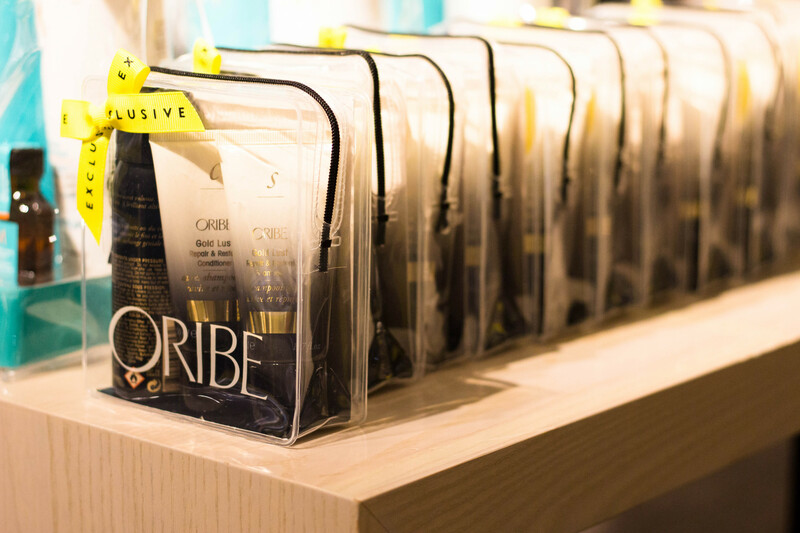 If you haven’t tried Oribe’s famous texturizing spray now is your chance to do so along with their top rated shampoo and conditioner in this set. My sister only uses Oribe products in her hair now and loves the shampoo and conditioner included in this set. Another great hair deal: the Moroccan oil set. Every year Trish McEvoy has an exclusive planner in the Nordstrom sale and this year is one of my favorites yet. The Nordstrom team was raving about this collection at the blogger preview I attended. It has so many of Trish’s popular shades that look good on just about any skin tone including blushes, eyeshadows, highlighters, concealers, bronzer, mascara. Seriously all you have to do is add a foundation! This set is perfect for someone who travels often, someone who wants to keep an extra set of makeup at the office or in a gym bag. A college girl would love this. Definitely a GREAT gift that I know I would love to receive. My second favorite palette that’s under $100: this Bobbi Brown eye and cheek set has so many becoming colors. P.S. In addition to the fantastic Anniversary Sale savings, many of the products above also have a gift with purchase. Click on each item to see. Remember, everything at Nordstrom ships free or if you have a Nordstrom in your area you can choose the “buy online, pick up in store” option at checkout. They will even bring your order out to your car! Yesterday Nordstrom same-day delivered my order to my front door for $15 (which is the same as next day shipping). If you live within a 10 mile radius of a store you can choose this option, too! Nordstrom Anniversary Sale 2018: The Best of the Best! Nordstrom Anniversary Sale: Dressing Room Selfies!